This Shop At Jeweller’s Street Is An Indoor Plant Paradise! Kushal Indoor Garden is perfect to shop for faux indoor plants that will give your house a makeover and is actually zero maintenance! If you’re a serial plant-killer (like yours truly) who inevitably forgets to water plants or manages to overwater them or sticks the pot in a dark corner the sun never touches, we have good news for you. Now you can make your house look green and pretty (and avoid all the work that goes into it!) with beautiful faux foliage from Kushal Indoor Garden, a quiet little shop in Jeweller’s Street. With vines and creepers hanging from the walls, and pretty flowers peeking from between lush green plants, we felt like we had been instantly transported to a mini tropical jungle. 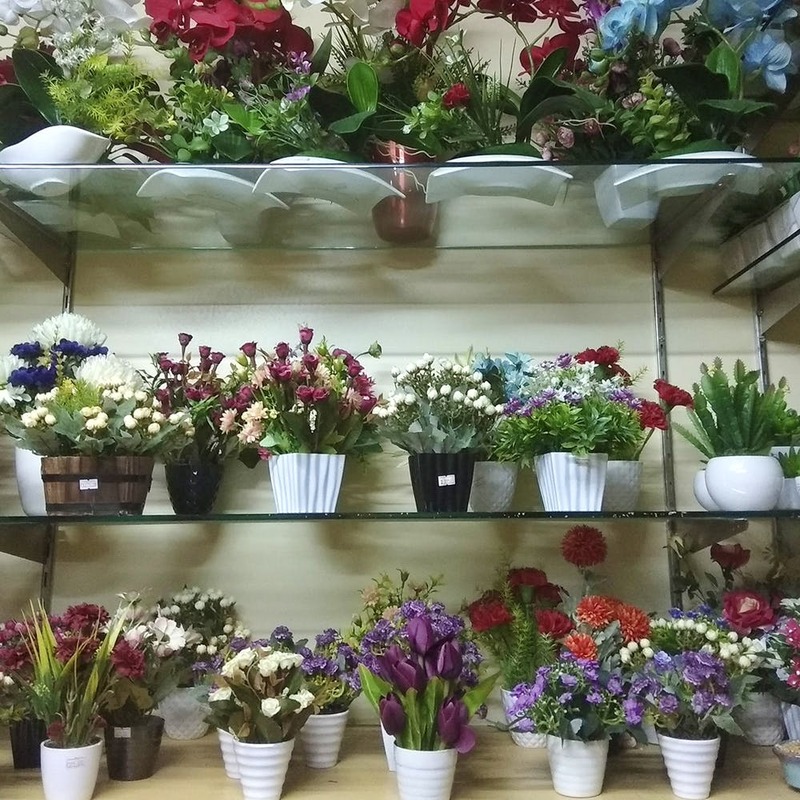 The shop is actually 26 years old and is set across two floors, with the bottom floor featuring a topiary of potted trees, bushes and shrubs, and the top floor comprising entirely of flower bulbs and flower wall hangings. You’ll even find classy planters (we have our eye on a cherub wheeling a barrow full of cherry plants and flowers), bonsais with real plants and faux vegetables. A lot of their imitation flowers are created from silks, so it gives an impression of reality and doesn’t look tacky, like you would expect artificial flowers to. There are plenty of options to choose from in varying hues and colours, from flowers like roses, dahlias, orchids and daisies to artificial plants with natural and plastic stems like palms, bamboos, ficus and eye-catching maples. The best part? It’s no maintenance and you can still up your home decor game! Since they have no social media presence, you will have to physically go to the store to buy their products, or contact the owner to avail of any offers.